Jack & Kate. I know it isn't amazing but I was in a Jate mood after talking with Emm_xD So I made some wallpapers, this is the first one =D. 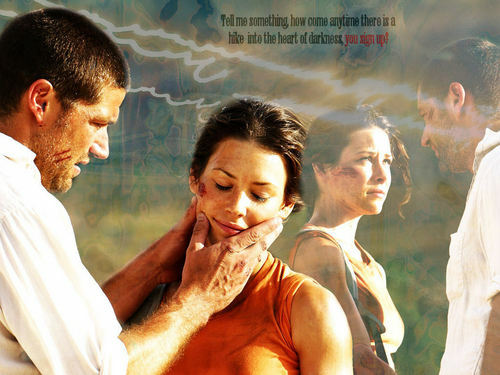 HD Wallpaper and background images in the Jack and Kate club tagged: jack shephard kate austen wallpaper image season 1 episode 4 walkabout. This Jack and Kate wallpaper contains portrait, headshot, gros plan, and closeup. Oh er, I just saw how similar this wallpaper is to the one below it added by melbelle, I didn't see it until I added this one =( BEtter go make another one.